← Is this a Police Car or an Ambulance? I don’t know why I go for historical fiction or alternative history again and again, when I should know by now that I’ll be annoyed or disappointed. 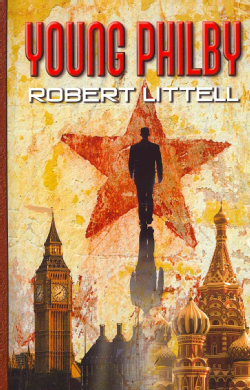 In Young Philby, Robert Littell tries to flesh out the early life of British spy Kim Philby who worked as a double agent for the Soviet Union, where he defected to in 1963. Obviously, that involves some guesswork and some creative liberty, which is fine for a novel. Littell tries something different by writing each chapter from the perspective of a different person. At first confusing, this trick actually caught my interest. It may have worked to make the book more interesting, but I will never find out, for I stopped reading after about a third, when the amount and severity of historical inaccuracies became too much to bear. When Kim Philby is in Vienna, he joins an underground group of left-wing students and workers, many of whom have escaped Germany. Littell lets some of these characters speak about Nazi Germany as if the problem was solved if Hitler was killed, when people in 1933 actually knew much better than most people know today that the problem was not one person, but a society in which a large number of citizens were racist, anti-Semitic, nationalistic, militaristic, anti-democratic and so on. Littell transfers the simplified explanation of events which took root after the Nuremberg Trials back to the 1930s. The Bundestag?? That conversation took place in 1934, and the Bundestag did not become Germany’s parliament until 1949. The parliament in the Weimar Republic and during the time of the book’s plot was called Reichstag. If an author can’t even get that right, then he can write children’s stories or poetry for what it’s worth, but please no historical fiction. The best book about Kim Philby is probably still the one by Phillip Knightley. This entry was posted in Books, Cold War, Germany, History, UK and tagged espionage, Kim Philby, literature, Nazis. Bookmark the permalink.